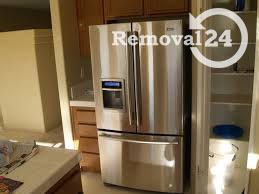 If you need to put some of your goods away throughout the duration of your home or office relocation project, and/or some time after its completion, we at Removal 24 present you with the perfect opportunity to do so. Our storage in London services may be used as part of a moving service package deal, or as a separate entity. It both cases they might turn out to be just the thing you have been looking for. There are many reasons for that. It would be fairly easy to have your goods moved to one of our storage spaces. After all, we maintain a fleet of modern vans and a team of drivers ready to come help you pack, load and drive to storage your things. You can call us at any time you need us and count on an immediate response. When we say we will facilitate you in the best possible manner we mean it. So, it all comes down to location, pricing, assistance and available space. At Removal 24 we cover all those points excellently. At the end of the day, we are indeed the best moving company in London and as such we cannot afford to offer you nothing less than the best storage service in the capital, right? Do not think twice about contacting us for more details, quotes and for making a reservation of a storage unit in London from us. Just don’t forget that no matter in which part of Greater London you are based, it is certain we have a storage facility nearby that is going to be perfect for you.